Mr. Richard Earl Cleveland was born on January 13, 1945 to the parentage of the late Otis Cleveland and Annie Bell Higgins. 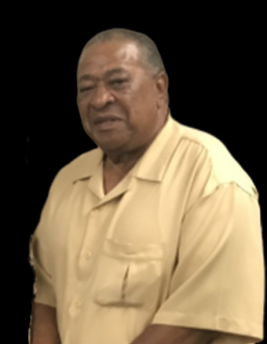 Mr. Cleveland accepted Christ at an early age and united with Union Baptist Church, where he served faithfully until his health declined. He was preceded in death by his parents, seven siblings, James Cleveland, Otis Junior Cleveland, Paul M. Cleveland, Alex Cleveland, Louise Cleveland, Johnny C. Cleveland, and Mary Ann (James) Tyus. Mr. Cleveland departed this walk of life on April 12, 2019 at his residence in Sylacauga, Alabama. He leaves to cherish his memories, two loving daughters, Tenisha C. Spears and Chikita Williams both of Sylacauga, AL; three sons, Ryan (Shauncey) Williams, of Atlanta, GA; Lamarious (Shemika) Whetstone of Montgomery, AL; and Charles (Carolyn) Williams of Washington, D.C.; two sisters, Betty S. (Horace) Burts, and Arwiltha Bozeman; sixteen grandchildren, special friend, Varnessa Lewis; and a host of other relatives and friends. Don’t grieve for me, for now I’m free, I’m following the path God laid for me. I took his hand when I heard him call; I turned my back and I left it all. I could not stay another day, to laugh to love, to work, to play. A kiss, Ah, yes, these things, I too will miss.